Aggressive 19 in. 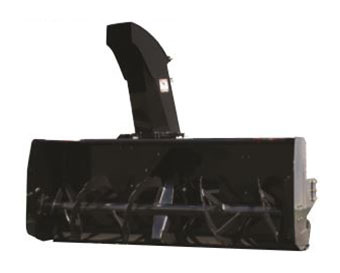 saw tooth auger will chop up snow or icy snow with ease. High performance machine using HD commercial grade gear box. Reversible / replaceable scraper bar made of 3/8 x 3 in. Hardox 400 steel. 1/2 in. thick reinforcements at each end to avoid damage. Full guard with tensioner - 26 in.